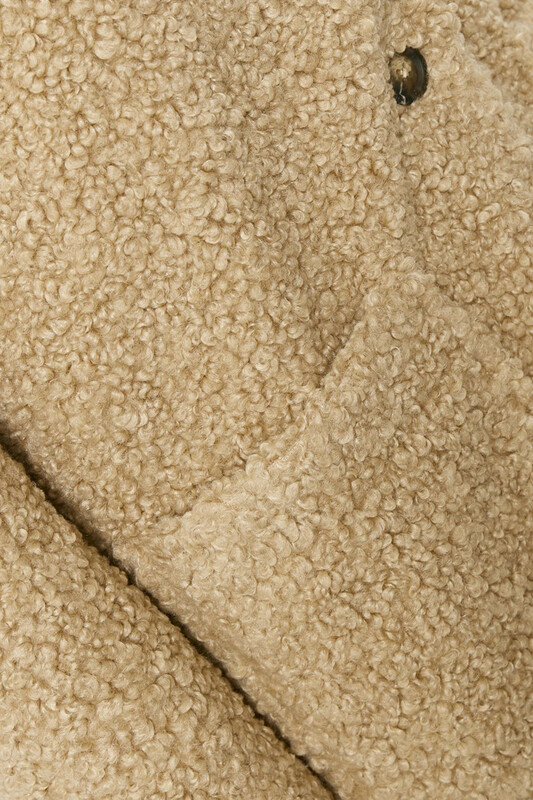 Cool and extremely soft coat from Kaffe. 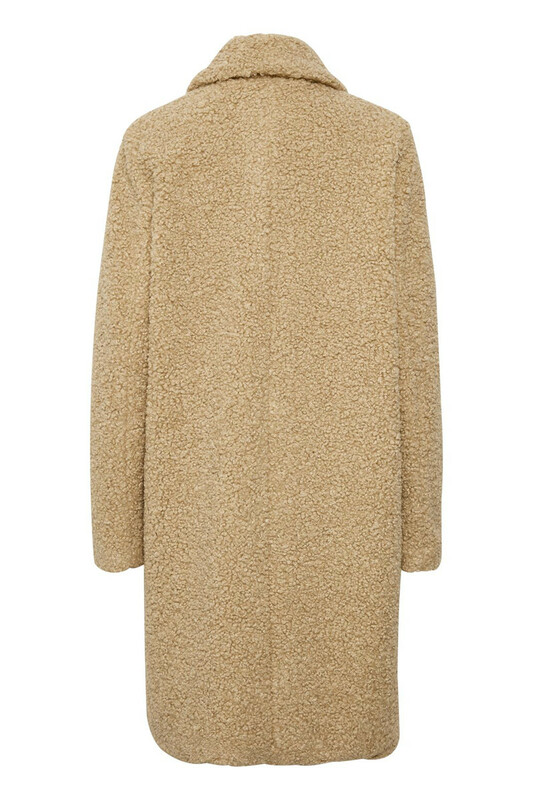 This Teddy jacket is really nice to wear and not heavy in quality. 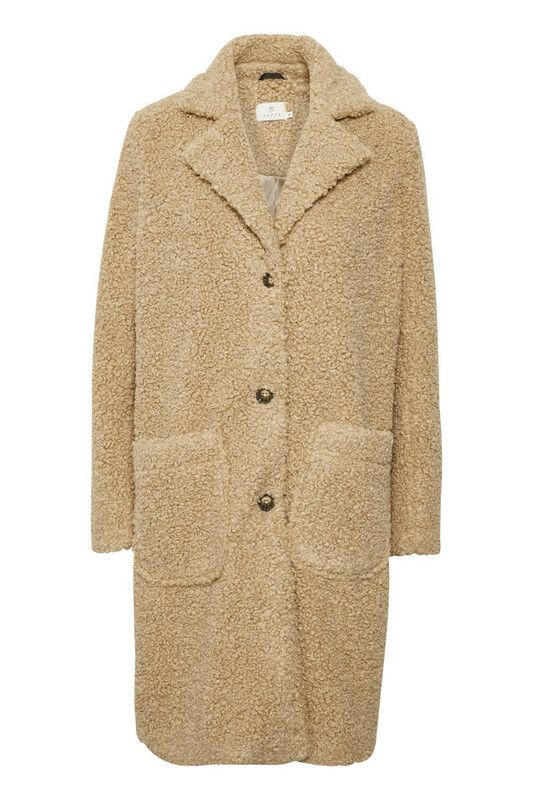 The coat has a knee length, has button closure all the way down and large front pockets. The jacket has this little teddy-look-a-like expression in fabric quality, a loose fit and is absolutely perfect this spring.